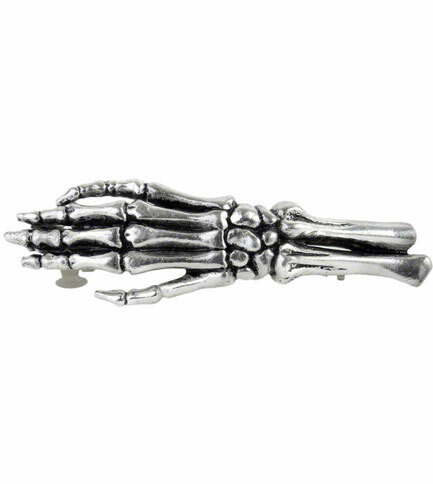 Skeleton hand hair clip made of fine English pewter with sprung steel. 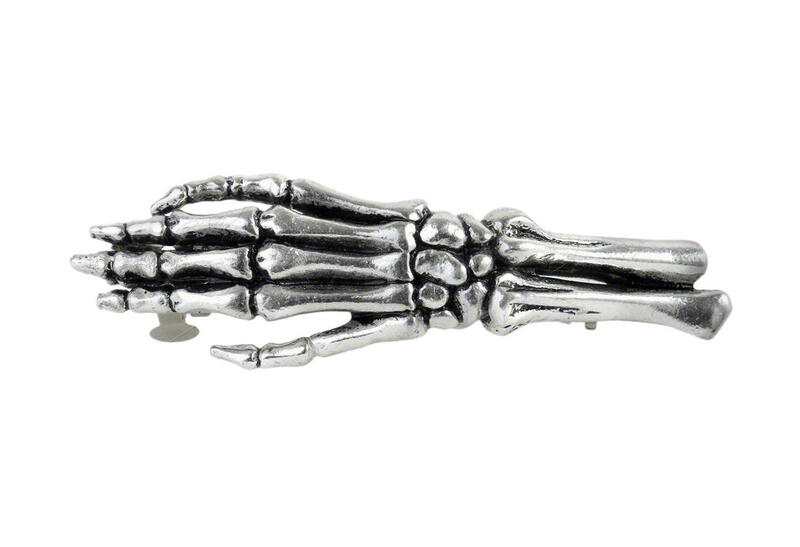 Measures approximately 2.64 inches in width, 0.83 inches in height and 0.51 inches in depth. 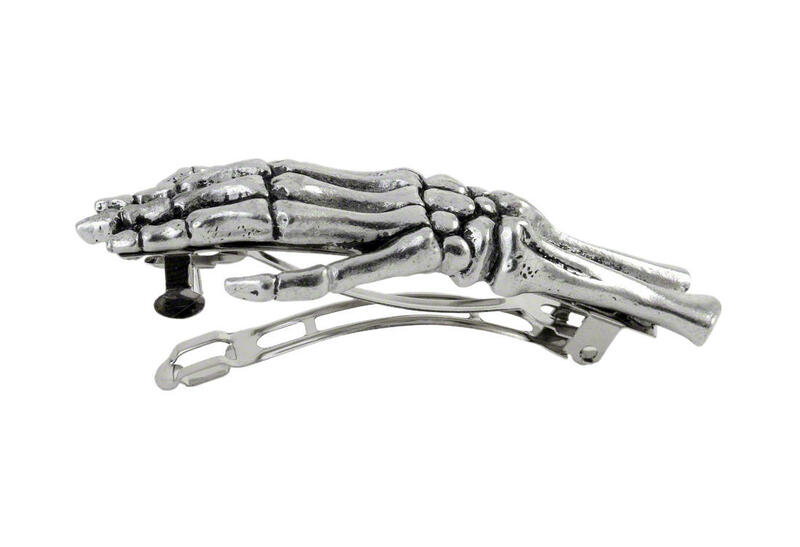 This hair clip is sure to grab everyone's attention.